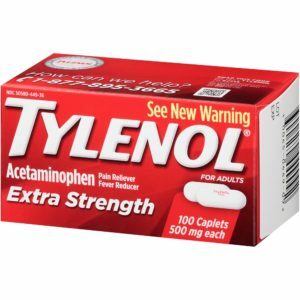 Most people, especially pregnant women and moms, think of Tylenol (acetaminophen – paracetamol) as the ‘go-to drug’ for pain relief and treatment of fever for them and their kids. Research tells a different story however. Studies show that paracetamol, the chemical name for acetaminophen (Tylenol being the most common brand), can negatively affect the development and function of the brain in both a fetus and an infant. Furthermore, the drug’s effects can extend into in childhood and adulthood with cogitive processes, with decreased mental and motor functions . While we’re on this subject, it’s a good opportunity to ask ‘Why does the body produce a fever?’ It’s to fight an infection, right? The body, with its amazing innate intelligence, recognizes that a ‘bad guy’ – pathogen – has invaded the body. This wonderful inborn intelligence knows what to do – that’s why it’s called ‘your body’s innate intelligence’ – it also knows that bacteria and viruses can’t survive with higher temperatures. So, a fever is actually a sign that you’re healthy – the body is doing the appropriate thing, a healthy thing, When your child has a fever, yes, it’s difficult to watch them suffer, but try giving them a high-five, smiling and say ‘I know you don’t feel good, but your body is so smart and so healthy that it’s fighting off the bad guys so you can be well soon’. (Can you imagine if your body didn’t produce a fever?’) And did you know science tells us that when you lower your fever with drugs, you stay sicker longer [read study here]. For more about your body’s amazing immune system, read Why you shouldn’t suppress symptoms when you are sick. ‘Paracetamol is known to act on the endocannabinoid system, involved in normal development of the brain. This indicates that exposure to and presence of paracetamol during a critical period of brain development can induce long-lasting effects on cognitive function and alter the adult response to paracetamol in mice. This study shows that acute neonatal exposure to paracetamol (2 × 30 mg) results in altered locomotor activity on exposure to a novel home cage arena and a failure to acquire spatial learning in adulthood …’ [Viberg H, et al Paracetamol (acetaminophen) administration during neonatal brain development affects cognitive function and alters its analgesic and anxiolytic response in adult male mice. Toxicol Sci. 2014 Mar;138(1):139-47].